March is definitively New Zealand’s fashion month, with iD down in Dunedin, and Auckland’s Four Days of Fashion in the City, including films, seasonal previews and other special activities. The four days specifically are 29 March – 1 April, but things kick off on 22 March with a special New Zealand Fashion Museum exhibition with new interactive twists: the walking tour and the museum’s first ever live fashion show. 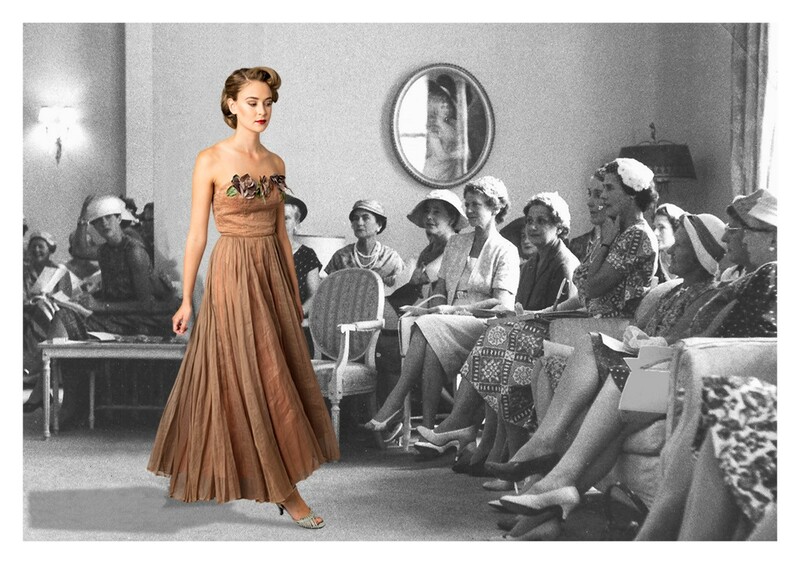 Walk the Walk: A history of fashion in the city will reveal the traces that remain of our inner city fashion history through an exhibition of beautiful garments, two live fashion parades and a guided walking tour of the city. Smith & Caughey’s will host the Walk the Walk exhibition in the historic Lippincott Room on the 6th floor. The exhibition will provide a rare opportunity to visit this lovely venue and an auspicious background for the Fashion Museum to display garments from over 20 local designers, manufacturers and retailers from the past and today. A curator’s tour will take place on 22 and 24 March at 12pm. More in-depth insight to our city’s rich history will be revealed through a series of 45 minute guided walking tours of related fashion sites around the city. Register for the walking tours by emailing us. Include your name and the session you’d like to attend. The Walk the Walk: a history of fashion in the city programme will culminate in two dynamic live catwalk events on Elliott Street on Saturday 1 April. Wear your New Zealand fashion to go into the draw for a goodie bag supplied by Smith & Caughey’s.. Participation in all parts of the Walk the Walk: a history of fashion in the city programme is free to the public. The Costume & Textile Association of New Zealand is delighted to be a Foundation Fan supporter of the New Zealand Fashion Museum. This entry was posted in Auckland, Exhibitions, Fashion, History, Lectures & Talks, Museums, New Zealand, Shopping, Shows and tagged Auckland, New Zealand Fashion Museum, Smith & Caughey's, Walk the Walk: a history of fashion in the city. Bookmark the permalink.